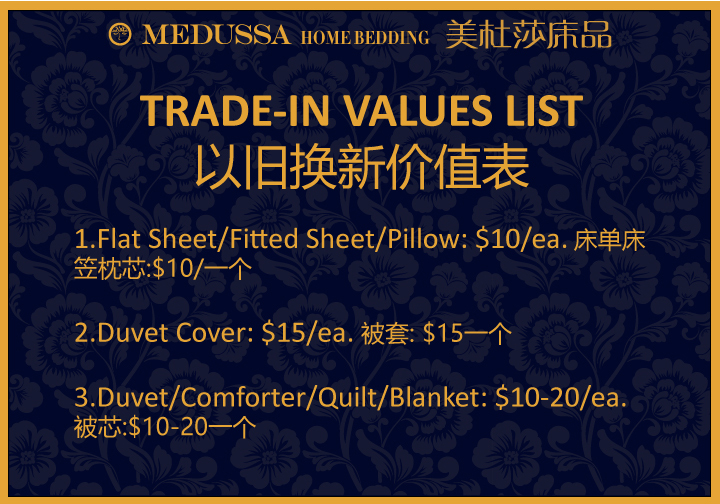 Your used bedding items still have values! 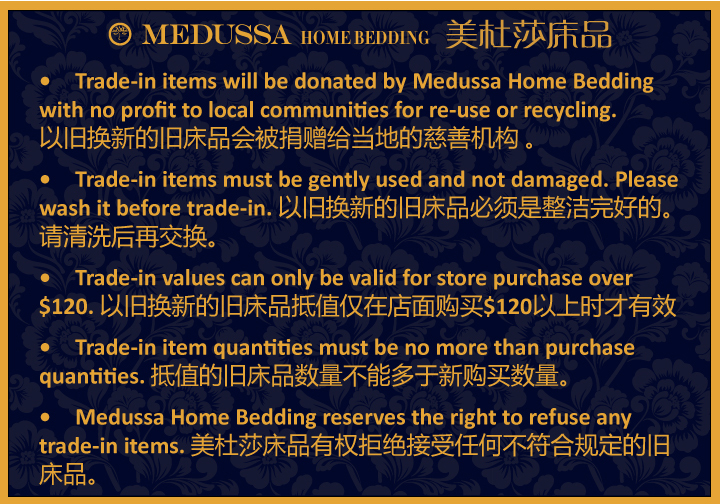 Medussa's CONTINUOUS Trade-in program allows you to trade in used sheets, duvetcovers, etc, toward NEW store purchases. 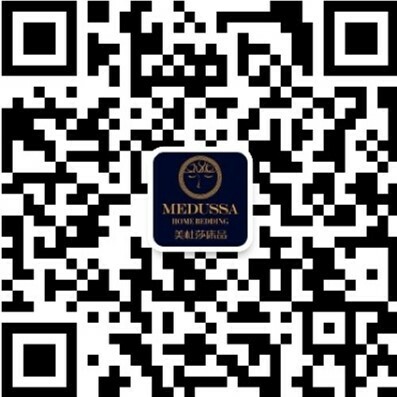 Bring your used linens of ANY BRAND to the store and we offer you discounts on the prices of any new items in Medussa. We will donate them to local charities for resale or for recycling. The trade-in program is only available for store purchase.